Introductory texts on the philosophy of mind tend to presume that we are forced into a dichotomy between some version of materialism and substance dualism. Hylomorphism -- the idea that living material substances are not just matter, but compounds of matter and soul -- is typically treated as a historical curiosity or as inherently obscure. 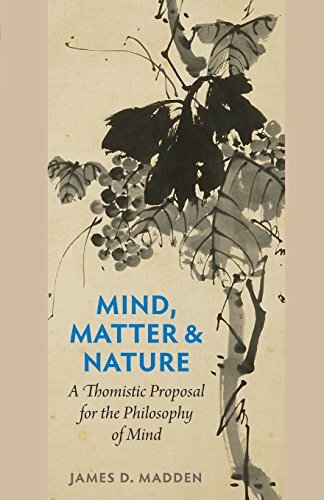 <br><br>In <em>Mind, Matter and Nature, </em>James D. Madden offers an alternative: an introduction to contemporary philosophy of mind on its own terms that concludes that the hylomorphic philosophy of St. Thomas Aquinas offers the best approach. This book offers a fair-minded and detailed presentation of the most influential contemporary positions along with the arguments for and against them. <br><br>Written for students, <em>Mind, Matter and Nature</em> presumes no prior philosophical training on the part of the reader. The book nevertheless holds the arguments discussed to rigorous standards and is conversant with recent literature, thus making it useful as well to more advanced students and professionals interested in a resource on Thomistic hylomorphism in the philosophy of mind.